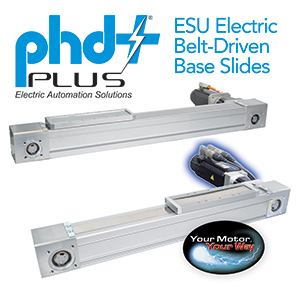 PHD is very excited to announce the release of the PHD Plus® Series ESU Electric Belt-Driven Base Slides. 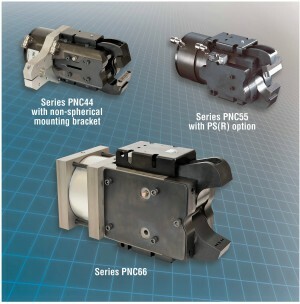 The Series ESU Electric Belt-Driven Base Slides feature a robust, enclosed design with a high capacity rail bearing system delivering exceptional moment and load capability. Available in three sizes, with travels lengths up to 5,500 mm and speeds to 5,000 mm/s, these electric base slides can be combined to create virtually any system to meet your Cartesian robot needs. 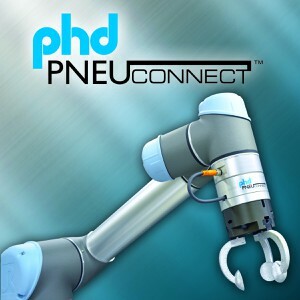 The flexibility of Your Motor, Your Way provides the freedom to use familiar motors and controls. 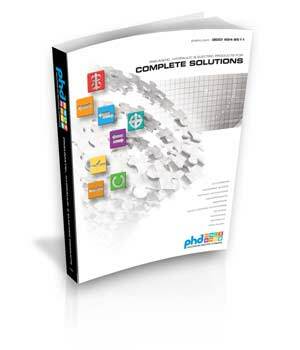 Additionally, complete solutions are available with the Kollmorgen® motor installed by PHD.